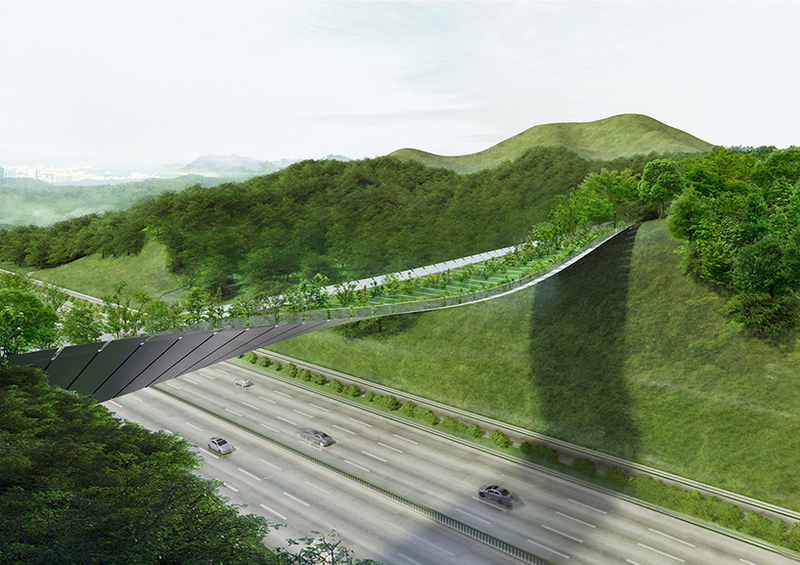 first prize winners of the yangjaegogae eco bridge design competition in korea, KILD architects create a proposal based on a simple and pure concept: to recreate the link that once existed using a spatial structure that would be atmospherically reminiscent to a pictorial passage through the southern slopes of the two discontinued mountain peaks of mount umyeon and maljukgeori parks. 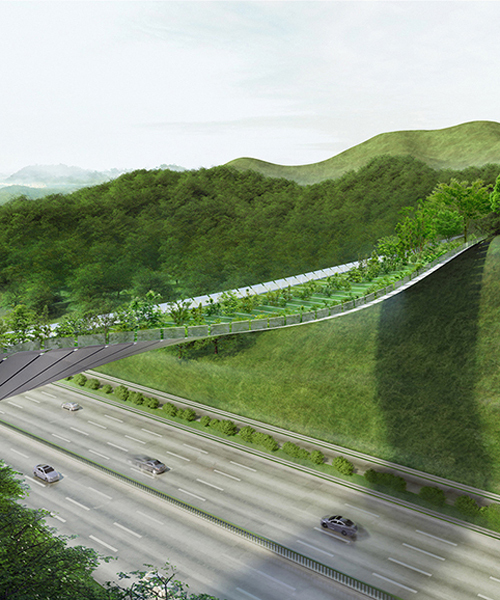 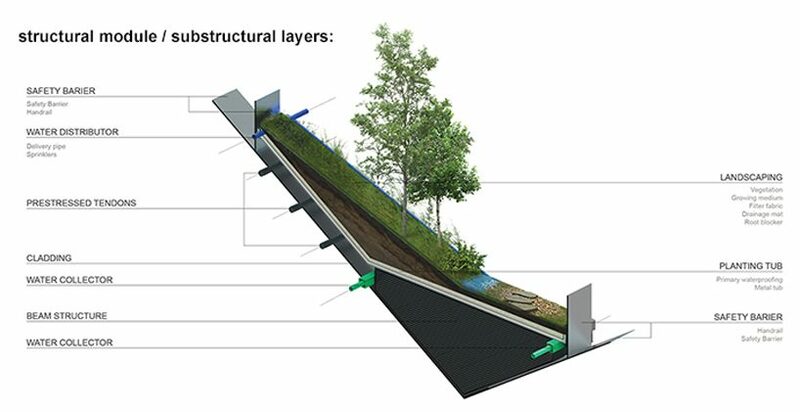 the yangjaegogae eco bridge design competition aims to create a green passageway across the gyeongbu expressway in order to connect the mountainous areas on either side of the existing highway — this allows citizens and animals to move across the highway through the green area on the top of the structure. 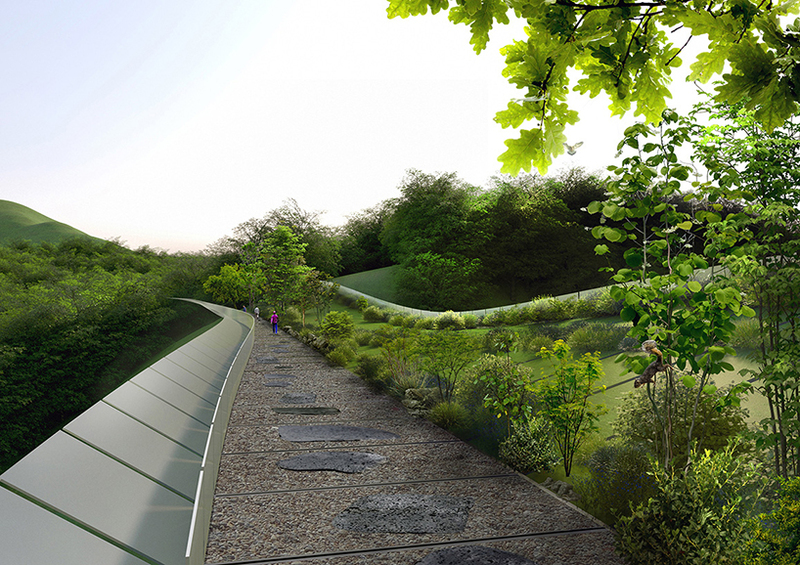 the landscape of KILD‘s bridge is referential to the natural, simplistic and unforced nature of korean gardens. 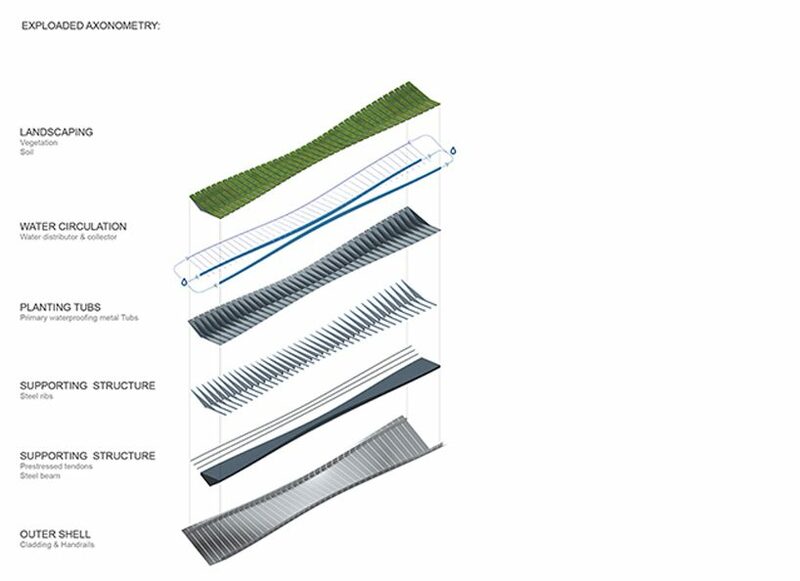 the architectural language of the structure mirrors the rhythmic nature of korean garden pavilions traditionally used to enjoy the surrounding green sceneries. 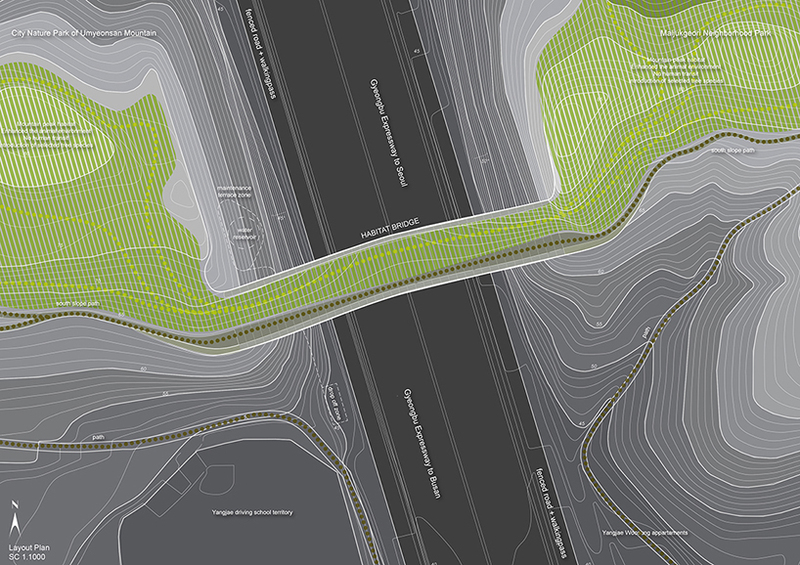 the two discontinued southern slopes are less windy and mostly sunlit, therefore following a naturally dualistic spatial experience of walking on the side of the mountain. 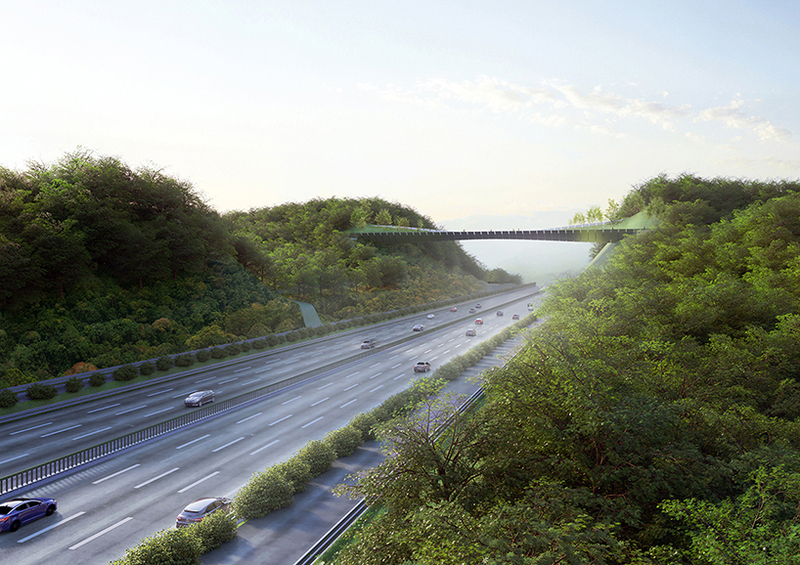 the midpoint of the bridge stays open toward the spectacular panoramic view of seoul on the northern slope. 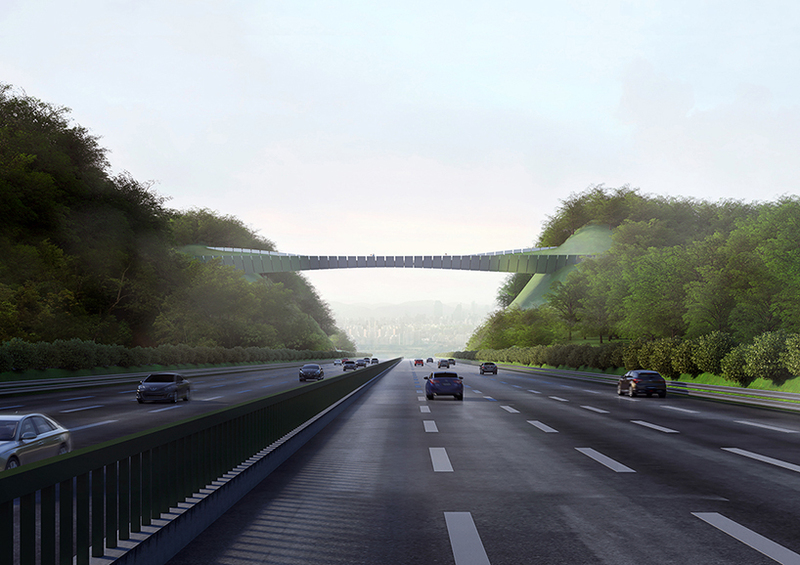 animal transit is made easy as a result of the prioritization of safe and simple access zones, uninterrupted by humans.the two intended environments suggest a structural concept: an arched bridge (central core) forming a straight human path and an integration of a suspended bridge structure on its side, that is forming a gently undulating slope between the two mountain peaks for the animals.